Make a movie about four charismatic Las Vegas magicians who pull off elaborate heists on the side, add an engaging cat-and-mouse hunt from the FBI’s perspective, and you’ve got the intriguing early premise of Now You See Me. Complicate that idea with the notion that these magicians have blindly engaged in high-stakes crime to gain entry into an age-old secret society, and then go one further to suggest everyone’s playing into the hands of a grand wizard, and suddenly the movie goes from being fun to being absurd. Such substance-free entertainment proves diverting enough, but the viewer is left with a resounding sense of disappointment. When the smoke finally clears in the end, left on the stage for all to see are the machines that have made the trickery possible, and almost no sense of wonderment or mystery. 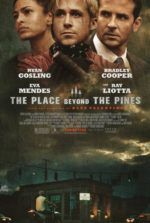 For all the movie’s attempts at virtuoso deception, the outcome amounts to another chase movie undone by under-developed characters and an unsatisfying twist finale. A stellar cast has been assembled to draw us in closer and lose us in the moment, mirroring the movie’s the-closer-you-look-the-less-you-see theme. Jesse Eisenberg, Woody Harrelson, Isla Fisher, and Dave Franco play low-level magicians all contacted by a mysterious overseer who has tasked them with acting out an elaborate three-part magic trick on a “global scale”. Eisenberg is fantastic as the David Blaine-esque Daniel Atlas, whose smug motor-mouthed routine is always good for a laugh. Same goes for Harrelson’s Merritt McKinney, a wise-cracking mentalist and hypnotist. Fisher plays the resident Houdini, Henley Reeves, and escapes from chains underwater while dressed in skimpy outfits. But Franco’s Jack Wilder hasn’t yet made a name for himself and isn’t above picking pockets on the Staten Island Ferry. They’re all brought together as the “Four Horsemen” by a mysterious hooded figure, who somehow arranges for them to join forces and become a top Las Vegas act at the MGM Grand, funded by insurance company millionaire Arthur Tressler (Michael Caine). 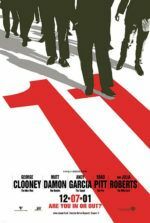 Although the thrilling first thirty minutes take place from the Four Horsemen’s perspective, the movie shifts gears to the less interesting FBI for a standardized chase movie dynamic. 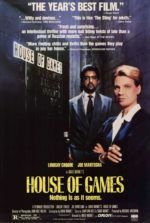 During their first performance together, the Horsemen somehow rob a bank in Paris, not only sparking the interest of famed magic-debunker Thaddeus Bradley (Morgan Freeman), but also the authorities. Enter Agent Rhodes (Mark Ruffalo), who’s begrudgingly paired with inexperienced Interpol agent Alma Dray (Mélanie Laurent). Always two steps behind, Rhodes and Dray can’t crack the case, despite several obvious references to a long-dead magician named Lionel Shrike—on which the audience dwells long before the FBI does. Conversations about jurisdictional nonsense and a forced romance between the two agents never draw much interest, while occasional cutaway scenes to the Horsemen leave us wanting more of that charming underused chemistry between Eisenberg, Harrelson, Fisher, and Franco. As a result, the script by Ed Solomon (Men in Black), Boaz Yakin (Safe), and first-time screenwriter Edward Ricourt seems unevenly balanced to the wrong side. Nothing that happens onscreen amounts to an emotional investment. Of course, professional magicians aren’t known for their dramatic substance, but films about magic often are. Consider the dramatic consequences for the magicians in Christopher Nolan’s The Prestige and Neil Burger’s The Illusionist, both released in 2006. For those characters—played by Christian Bale, Hugh Jackman, and Edward Norton—the stakes involved obsession and love, and each plot turn developed the magician himself with more complexity than Now You See Me could ever hope to achieve. Instead, all the fast-paced, superficial machinations of director Louis Leterrier don’t amount to the slight-of-hand needed to pull off the script’s trickery, which was “inspired by David Copperfield” and designed by David Kwong (a puzzle-maker and technical consultant behind the magic tricks in this year’s The Incredible Burt Wonderstone). Nevermind that there’s one too many twists in the story; that would have been forgivable had Leterrier toned down his sometimes coarse approach and replaced it with a slick veneer. Using shaky handheld cameras and pointed lack of visual grace only serve to draw comparisons between Now You See Me and two-bit street magic, although the story strives for something more in the realm of a world-renown illusionist. Leterrier made The Incredible Hulk, and for that project he toned down his usual inelegance, which was demonstrated in full force on his abysmal Transporter 2 and the Clash of the Titans remake. Then again, had Leterrier given his production the same level of bravado as Nolan or even Burger demonstrated on their respective films about magicians, he still wouldn’t have been able to distract from the superficial quality of everything onscreen. 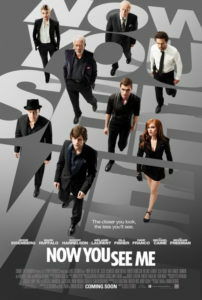 Now You See Me may boast incidental pleasures courtesy of an all-star cast, but the film’s oft-repeated line “the closer you look, the less you’ll see” ultimately proves true.